When you get injured, your body tries to heal itself naturally by releasing enzymes and proinflammatory mediators. This naturally occurring release results in inflammation. You might feel heat, swelling, and pain around the injured area – knee, elbow, shoulder, ankle, IT band, foot, bicep, quadriceps, hamstring, shin, calf, etc. – all caused by inflammation. Doctors, physical therapists, and athletic trainers know that the secret to rapid recovery is to reduce this inflammation as soon as possible in the early stages – by using cold, compression, and light massage. After using cold in the acute phase, healthcare and sports training professionals follow with heat and deeper massage to help remove the toxic byproducts of the inflammation, which speeds healing. They also know that heat, massage, and compression before physical activity prepares the body for peak performance by warming and loosening the muscles. Cold limits the effects of inflammation. Compression helps the cold penetrate deeper into the injured area. Massage helps your body get rid of some of the damage. Cold works by lowering the temperature of the injured tissue locally, which slows down the release of proinflammatory mediators and returns the tissue to a more normal state. Heat increases blood flow to the affected area, bringing healing nutrients. Heat also facilitates the return of more normal motion to joints and flexibility to affected muscles, tendons and ligaments. Compression and massage help rid the body of the painful inflammation and toxic byproducts of injury by speeding your body’s natural ability to break down and remove swelling and toxins so that repair tissue can start the healing. Massage and compression speed up this process and help you recover faster by pushing the swelling and toxic byproducts into the blood stream for removal. Massage and compression also help to mobilize lactic acid and enable the body to remove it from the muscle. This decreases post-exercise soreness, also known as Delayed Onset Muscle Soreness (DOMS). Massage and compression speed up your body’s natural healing process and help you recover faster by pushing the swelling and byproducts into the blood stream for removal. Now you know why Therma1™ was built based on the science of healing to combine cold therapy, compression, and massage to help reduce swelling in muscles and tendons, ligaments, and joints. Reduced swelling brings pain relief, increased range of motion and flexibility. Therma1™ grew out of a clinical need that is currently not being served by any one product or device. 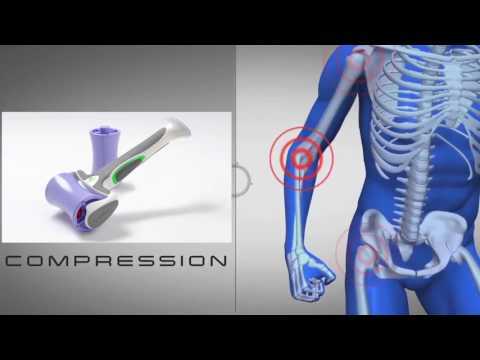 Therma1™’s inventor, Dr. Riley Williams explains, “I invented Therma1™ because we doctors have few treatment options for patients who don’t want or need surgery but need relief from common strains, sprains, and other inflammatory conditions of the bones, muscles and joints. Therma1™ provides that relief. “Until now, our options have been limited. We had to recommend using frozen cups of ice or heated towels for some of these conditions. Unfortunately, the follow-through on these instructions has proven to be highly variable (mostly poor) because they are just too messy or inconvenient for most patients. “Many injuries respond very well to cold and/or heat therapy combined with massage and compression. This includes runners knee, rotator cuff tendonitis, tennis elbow, golfers elbow, hamstring strains, quadriceps strains, jumper’s knee, Achilles tendonitis, wrist sprains, patellar tendonitis, biceps tendonitis, and low-back strains, among others.